Construction of new school consisting of learning facilities for students from kindergarten to year 12. 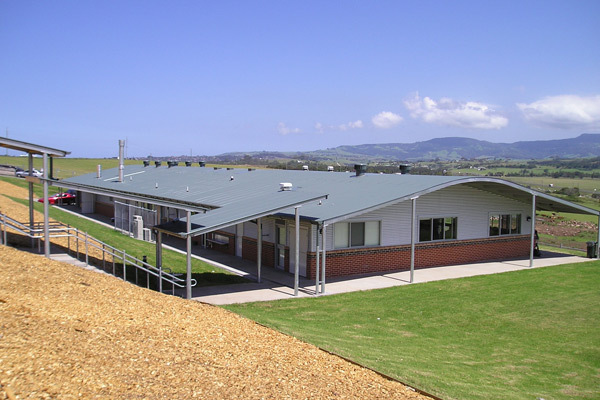 Single storey brick and colorbond roof building, carpark, upgrade of main roads and entry, technical buildings, administration and home economics labs. Use of high level trades to maintain outstanding level of finish. Staging of works through holiday period for road upgrades ready to meet school opening date. Construction of 2 off buildings at once including carparks and road works to expedite construction period.